A RUP LIFE: Stocking Stuffers For Her! Marc Anthony True Professional Hair Care! Stocking Stuffers For Her! Marc Anthony True Professional Hair Care! Winter wrecks havoc on my hair. I have long, thin and dark hair. It tends to get dry and frizzy with lots of static if I don't condition well in the drier months. I found the Marc Anthony brand when I received a few products in a beauty box subscription a few years ago and I've been loving all of the products I've tried. I was so excited to see the line is available at Ulta because there is one not too far from me so I can easily find the things I'm looking for! 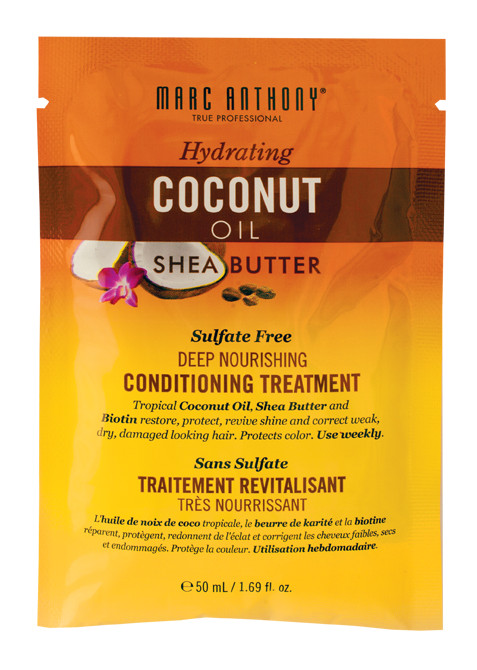 Marc Anthony True Professional Hydrating Coconut Oil & Shea Butter Deep Conditioning Treatment has become a true staple in my hair care routine. It is the once a week thing I use to keep my hair shiny and healthy. 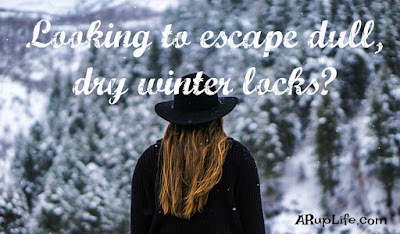 Especially in the winter months when I'm using my hot tools way more now that the weather is cool again. (I'm so lazy in the summer and end up just air-drying doing a ponytail!) While I don't have curly hair I was sent a sample of the Strictly Curls Deep Hydration Mask and I enjoyed this product too. This was not heavy at all which I believe is ideal for curly hair. My hair felt soft after using and less frizzy. Curly hair girls I suggest you give this one a try! This hair mask is the perfect gift to give… yourself! Treat yourself to a salon-quality hair treatment in the comfort of your home, post holiday shopping! 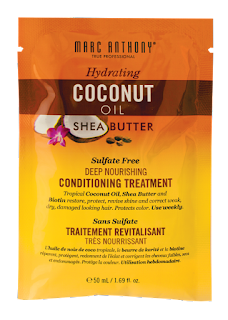 Formulated with Shea Butter, Avocado Oil, Vitamin E and Silk Amino Acids, this hair mask nourishes fragile curls for a natural, shiny finish . Curly hair is naturally dry because the bend in the hair strand opens up the cuticle layer to let moisture escape and natural oils can’t slide easily down the hair shaft. Define curls while replenishing moisture and smoothing down the cuticle layer to remove frizz and tangles. Marc Anthony’s deep conditioner packets are perfect for popping into stockings! This lightweight oil treatment penetrates the cuticle to help nourish and hydrate your hair leaving it smoother and shinier, while protecting from splitting and breaking, allowing hair to grow longer, faster. Which one will be in your stocking? ARupLife.com received product, press or compensation to facilitate this review. This post may contain affiliate links, which means that by clicking on an affiliate link I may receive a small amount of money. We only give our honest opinions of products. This post is in accordance with the FTC 10 CFR, Part 255 concerning the use, endorsements or testimonials in advertising. Lisa Rupertus/ A Rup LIfe is a participant in the Amazon Services LLC Associates Program, an affiliate advertising program designed to provide a means for sites to earn advertising fees by advertising and linking to Amazon.com.